This post follows in directly from the last in the series, with a couple more texts from the U.S. Third Camp Trotskyist scene. The seizure of power in Madrid by the General Staff of the People’s Front Government was only the logical development of the role played by the military throughout the course of the civil war. A glimpse of the functioning of the Loyalist High Command is given below in an extract from an interview with Fernando Grandizo-Muniz, leader of the Spanish Bolshevik Leninists, which appeared in La Lutte Ouvrière, organ of the Fourth International in France. Muniz was held prisoner by the Negrin Government in Barcelona until a few hours before the fall of Barcelona, when he succeeded in escaping from the doomed city. Part II in a short series of notes from the academic literature on the anti-Stalinist left. Leon Trotsky and the annihilation of classical Marxism. A Tomb for Boris Davidovich by Danilo Kiš. Generations – Partisans. The Twilight of the intellectuals. Pilgrim of doubt. Remembering Irving Kristol: Lexington Green, Robert Kagan, J Podheretz, Joe Leiberman, Alan Wolfe, and in his own words. [Added: more from TNC and But I Am.] A nation of commentators. Frankfurt on the Hudson. This week, a bumper edition, and a multi-lingual treat. Includes lots of things stolen from Entdinglichung, and possibly repeating one or two things I’ve already mentioned. 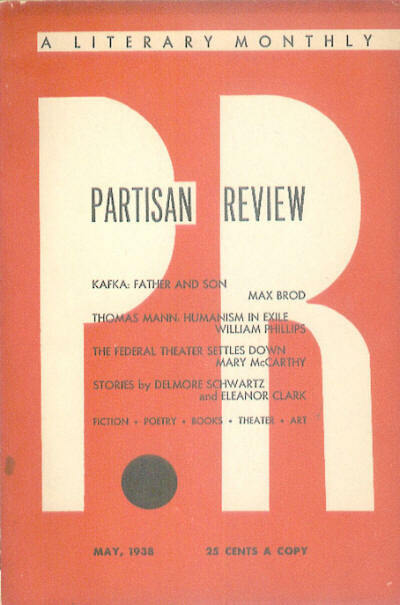 Features the POUM, the Spanish civil war, Italian anarchists in WWII, Irish anarchists in the 1970s, German left communism, American Trotskyists in the 1930s (including Dwight MacDonald and Hal Draper), Trotsky himself, ultra-leftists on the Iraq war, and much more. Beneath the fold. Stuff in English at the top, scroll down for other languages.